Home AMCAT Concept How To Achieve A Good AMCAT Score? 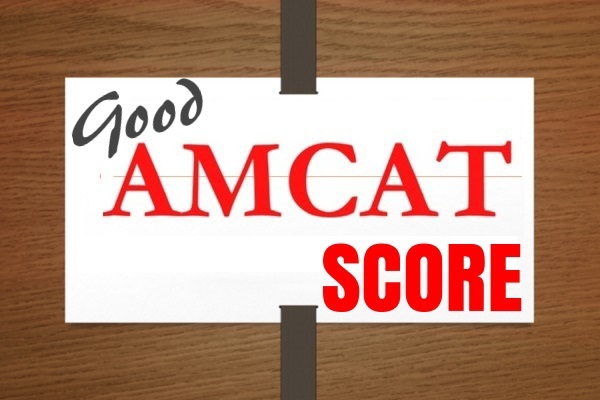 How To Achieve A Good AMCAT Score? A good AMCAT score is capable of unlocking so many doors to various job opportunities for freshers and otherwise. But the real question is how to plan your AMCAT preparation in order to get a good score? It’s a no brainer that you need to have a strong will-power along with hard-working traits. But other than that, what’s really important is to know how to go about the preparation path? The planning part is important and hence you should spend adequate time to make the blueprint for your AMCAT preparation. Do it strategically so that all topics are covered on time and you get to revise the important topics as well. You can do it by allotting stipulated time to topics as per your knowledge. For example, designate more time to the topics you know you have a weak point with. Don’t let these topics suffer or you won’t be able to achieve the goal of a good AMCAT score. Before you take the AMCAT exam, you need to keep testing yourself on different stages. The first test can be allotted after every chapter or topic. Most preparatory books and materials have questions at the back of the topic to test your knowledge gained, solve them. Then there are sample papers and previous years AMCAT exam papers you can solve to increase your confidence. The last one before the real test should be the PrepAMCAT test, the official AMCAT preparation mock test. It not only helps you test your knowledge but prepares you for the actual format of the exam. You will also be able to pick up topics which still need some work. Compulsory modules are there for a reason. If it was as ‘easy’ as candidates think it to be, they won’t be there in the first place. They might be comparatively easier, but you still need to prepare for them in order to get a good AMCAT score. It is fine if you give more time to your core modules but compulsory modules are scoring and hence affects your overall score greatly. Don’t make the mistake of ignoring them completely. Do assign ample time for preparing these modules. Other than preparing well, you also need to put some focus on time management. Sometimes students are all equipped with the knowledge required to pass the test with good scores but are unable to finish the test on time. The best way of ensuring that you are not one of them is to keep practicing sample papers and keep a stopwatch to keep you on track. The PrepAMCAT test mentioned above also helps you with the same. Preparing for a good AMCAT score not only helps you do well in the exam but also prepares you for later stages. If you study your syllabus well, you won’t need a thorough read for your interview preparation, you can sit for other similar exams, etc. While the above given topics are generally sufficient if followed religiously, we would suggest using your own tricks too. Every individual has their own way of preparing for various exams and sometimes these help a great lot than the suggested rules. So, to get an exceptionally good AMCAT score, amalgamate our AMCAT preparation tips with your tricks and see how you are prepared for your test in no time! For more help with amcat preparations, register with PrepAMCAT today! Previous articleIs The AMCAT Exam Useful For B.Com Graduates?